Take advantage to be served from the best specialized cleaning team in your area. Book your service and see the real experts in action. The team is fully trained, checked and responsible. They can handle all those messy situations for all residents in SW4 swift and comprehensive. For every cleaning need in SW4 we have trained, passionate and uniformed cleaning team, which will come right on time and do the job. For every situation that requires professional cleaning – SW4 Cleaners have the right and adequate solution. With us you choose the service and how frequent to be. We will give you the professional touch you that you will really love! We provide professional cleaning services in Clapham SW4 area. Papa Bear Cleaners Clapham has been working in the cleaning business for many years and has served a big number of residents in the area of SW4. We are prominent in providing various professional cleaning services for commercial and domestic properties. Through the years our name became a symbol of reliability and high-class cleaning services in Clapham (south-west London). We are specialised in top-class cleaning services and are devoted to understanding and satisfying the needs of each client. Each service we offer is customised according to the needs of the specific customer which ensures a complete and thorough experience, bringing only perfect end results. 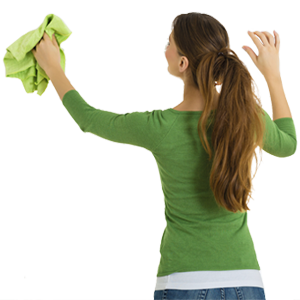 Every cleaning task will be handled by a trained and devoted team of professionals. Successful communication with our customers is very important for us in order to give you the desired result, whether it is a carpet cleaning, home cleaning, after builders clearance or any other service you require. Papa Bear Cleaners Clapham is a respected name on the market, known for its high-quality services and great customer support. A varied list of cleaning services tailored to meet all your cleaning needs is one of the competitive edges we are proud of. Choose the cleaning service you need and don’t forget you can combine a number of services and receive a discount, simply call our 24/7 customer hotline on 020 3404 0292 and our friendly consultants will give you the optimal offer. 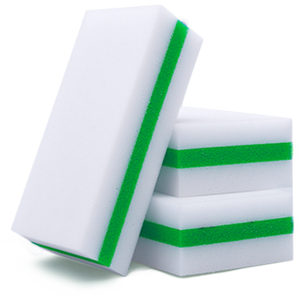 Use of eco-friendly products, supplies, professional equipment and uniforms. Know-how on each specific service, from the right detergents, the right high-pressure machines used for each type of upholstery and carpets to the right process of cleaning or being prepared to meet any end of tenancy cleaning requirements. To sum up: ask our operators to tell you about our special offers and low prices. You can require a quotation of the service for free to see how good our rates are. We know that you want quality service for the money you pay and we will give you that – excellent cleaning procedures, great attitude and all the work will be performed with attention to every chore. Choose your perfect service from Papa Bear’s Cleaning company in Clapham and call us on 020 3404 0292. Make your property clean and healthy once again and tailor the service according to your personal requirements. Our operators are always available for you 24/7 and ready to assist you. Copyright ©Cleaning Company in SW4 2011 - 2017.